TouchUpDirect is the world's first and only source for environmentally friendly, original factory quality, do-it-yourself touch-up paint. All of our products are designed to allow you to instantly make your vehicle look great, protect it from harsh, outdoor elements, and add value to it. TouchUpDirect is the only company dedicated to bringing you eco-friendly touch up paint that has the perfect factory match and superior quality. We formulate our colors in the latest waterborne technology that is the same type of paint with which your newer vehicle is painted at the factory. For older vehicles, we have specially created a low-VOC urethane that is still environmentally friendly, yet is also the same type of paint that your vehicle was painted with from the factory. By using the same formula of paint with which your car was originally painted, we can guarantee color accuracy and factory quality so that you will have a successful paint repair. Why use TouchUpDirect Because your vehicle deserves the best! 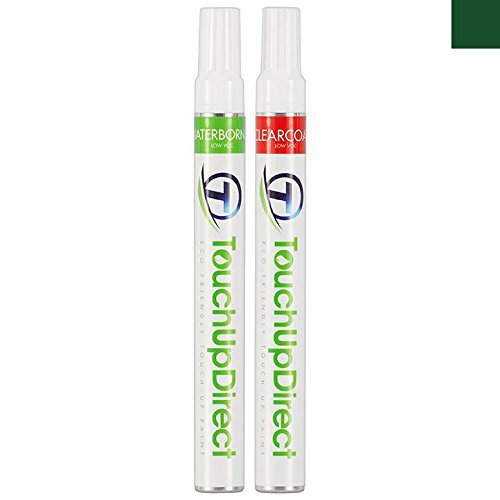 TouchUpDirect offers a full range of premium touch-up products which includes pens, jars, aerosols and professional sizes all available here on Amazon. TouchUpDirect has the world's best touch up paint. Period.